As the legal industry moves toward increasing specialization, attorneys like Robert Duffy, who possess comprehensive knowledge and wide-ranging experience in their fields, are increasingly rare. Bob, who has also served on the firm’s elected Executive Committee and as the chair of the Milwaukee office Labor & Employment Group, works comfortably and knowledgeably within the entire labor and employment space, so clients with virtually any need in those areas can depend on Bob to be of effective assistance. He works closely with employers to identify and pursue creative solutions to complex challenges, simplifying the matter in order to clarify the issues, plot practical steps forward, and solve problems. Bob represents employers with all their human resource issues, with a special emphasis on providing front-end employment solutions and on defending employers from civil rights, wrongful discharge, retaliation, wage and hour whistle-blower, worker’s compensation, and union-related litigation. His experience includes counseling employers in potential discipline, reductions in force, employment policies and contracts, internal and external investigations, employee stock ownership plans, union elections and decertifications, and collective bargaining administration and negotiations. 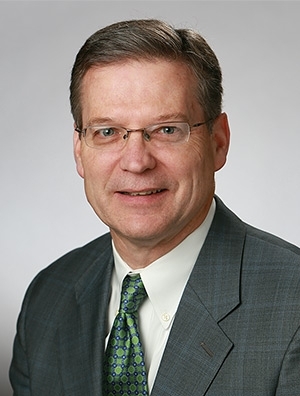 He represents clients before the Wisconsin Circuit, Appellate, and Supreme Courts as well as Wisconsin and other federal district courts, numerous federal appellate courts, the United States Supreme Court, and before the NLRB, EEOC, OSHA, DOL, WERC, DWD and arbitration panels throughout the country. Bob has successfully litigated countless individual and collective civil rights, wrongful or retaliatory discharge, breach of employment contract (discharge, discipline, contract interpretation, restrictive covenants), employment-related torts (defamation, intentional infliction of emotional distress, misrepresentation), wage and hour, and worker’s compensation (insured and uninsured) claims. Industries with which Bob regularly works include health care systems, financial institutions, manufacturers, and nonprofits. As gratifying as being a highly respected counselor and litigator may be, there’s no greater satisfaction for Bob than simply being helpful and no greater happiness than seeing a satisfied client get on with day-to-day business, having left behind problems that Bob had the privilege of working alongside his client to solve. He works hard to understand his client’s industries and their unique challenges specifically with the intention to be helpful, calm rattled nerves, and reduce difficult problems to practical step-by-step plans that resolve them.